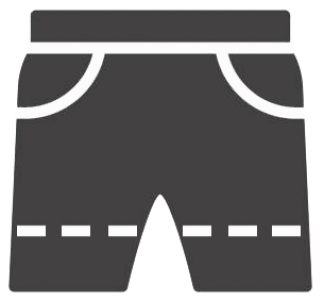 Nothing Left To Count – Who Writes Short Shorts? 1…2…3…4…5… I count the bills in my drawer until there’s nothing left to count. It’s been a long Friday. One after another, customers lined up in front of me to deposit money and cash their checks. They scheduled me to leave early, but I volunteered to stay. It was 10 minutes before we closed and a tall man with dark hair and piercing blue eyes walked in hurriedly. “You got here just in time.” I called to the man in the lobby. He gave me a friendly half smile and tried to sign. I handed the man a piece of paper and a pen to write the transaction he needed. The other teller took her drawer to the vault, leaving me alone with the man. I saw him slide the paper and pen back. My heart filled with a cold rush of fear. Don’t make a sound. Give me all the money in your drawer. I have a gun. Make it fast. My hands trembled as I fumbled for my keys. He watched every move and I tried to remember what the protocol was for this situation. We were being robbed. Just breathe. He will not hurt you as long as you do what he wants. I told myself. My drawer flew open and I debated whether to give him bait money. I took a chance and pulled the trap. He laid a black plastic bag on the counter and I filled it with the money. The phone rang causing me to jump. “Is everything okay, ma’am? We received an alert of a hold up.” The woman from the security company asked. My coworker emerged from the vault, unaware of the imminent danger in front of her. Wide eyed, I looked up at the robber as I stuffed the cash in his bag. He pulled his white tucked shirt out of his pants revealing a gun. “What the hell?” my co-worker whispered from behind me. The man pulled his gun and shoved it in my face. I spit the gun from my mouth. Sirens blared in the distance, causing him to look away. “I told you, no cops.” His voice was monotone and he raised the gun. I ran to the exit. I heard the shot and felt a burning sensation in my side. I laid on the ground and felt warm blood running down my leg. No. This can’t be it. Keep breathing. It will be okay. I told myself. 1…2…3…4…5 I counted again, but this time it’s not money. It’s seconds between each breath until there’s nothing left to count.